With economic activity once again on the rise in the GCC economies, more and more investments and fund-raising are being done through sukuk (Islamic bond) issuance, according to experts at a key banking summit in Bahrain. The Islamic funds and investments market must achieve critical mass at a global scale for long-term success, they said at the seventh Annual World Islamic Funds and Financial Markets Conference 2011, which opened on Monday at the Gulf International Convention and Exhibition Centre, Gulf Hotel, Bahrain. It saw more than 400 leaders in the international Sharia-compliant funds and investments industry engage in critical discussions that focused on developing forward-thinking strategies to get the industry back on the high-growth track, achieve critical mass, and adapt to the new global economic landscape. Held under the strategic partnership of Central Bank of Bahrain (CBB), the two-day event opened with a special keynote address by Abdul Rahman Mohammed Al Baker, executive director – Financial Institutions Supervision at the CBB, who provided insights on enabling growth and creating a deep and vibrant Islamic investment market. This was immediately followed by a special international plenary session led by Germain Birgen, chairman of LFF Islamic Finance Task Force, chairman of Alfi Islamic Finance & ME Working Group, the MD of Global Head at HSBC Amanah Securities Services (Luxembourg) and Gary Palmer, chief executive, Irish Funds Industry Association. The session assessed select jurisdictions that have exciting growth potential for Islamic funds and investments. ‘Financial centres across the globe are vying to become domiciles of choice for Islamic funds,’ said conference managing director David McLean. ‘With many new international markets now opening their doors to Islamic finance and investments combined with the increasing internationalisation of large-scale transactions, it is vital to understand the rapid development of the most dynamic regions and build a deeper relationship between the key markets – so that top institutions are better placed to compete on a global scale,’ he added. National Commercial Bank chief economist Dr Jarmo Kotilaine said after a brief setback in 2010, the GCC region is witnessing increased activity in the sukuk market. ‘Driven by favourable demography and infrastructure development needs, economic activity is rising again in the GCC economies and major investments and fund-raising are done through sukuk issuance,’ he remarked. He also said that the corporate sukuk issuance revived in 2011. The World Islamic Funds and Financial Markets Exhibition, which was held along the sidelines of the conference, showcased the latest products, services and innovations from more than 25 exhibitors. ‘With the passing of the Labuan Islamic Financial Services and Securities Act 2010, the world’s first omnibus legislation governing all Islamic business, we are gaining even further ground,’ he noted. ‘Our support for the annual WIFFMC as a gold strategic sponsor, once again reinforces our commitment to the growth and development of the Islamic financial services industry,’ said DDCAP director Cassim Docrat. ‘We at Capinnova Investment Bank are delighted to be the Gold Strategic Partners for the conference in Bahrain,’ said CEO Jamal Hijres. ‘We are confident about the Islamic finance industry’s future and Bahrain will continue to be one of the leading financial centres in the region due to the efficient regulatory policies adopted by the sector,’ he added. 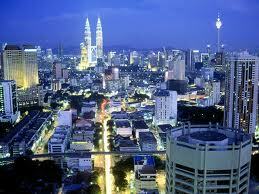 Malaysia eyes 25 pct share in Islamic banking. Malaysia aims to capture 25 percent of the market share in the Islamic banking and finance sectors by 2012, according to an expert speaking in Istanbul. “Islamic banking and finance has experienced substantial and unprecedented growth in recent years, growing at a rate of 10-15 percent annually,” Mehmet Asutay, the director of the Durham Centre for Islamic Economics and Finance at British-based Durham University, said Monday in his opening speech at the Durham Islamic Finance Autumn School 2011 in Istanbul. Malaysia aims to capture a quarter of the market share in the Islamic banking and finance sector in terms of assets owned by 2012, while it is expected that Islamic finance will become the mainstream financing method in the Gulf region within the next decade, Asutay said. More than 500 Islamic banking and finance, or IBF, institutions operate worldwide and are estimated to manage assets worth at least $1.2 trillion, compared to less than $10 billion in 1985, Asutay said. Amid the current financial crisis, which has engulfed the entire global economy, the IBF industry has shown relative resilience without undergoing major difficulties despite the fact that it is very much integrated with the global finance worldwide, according to him. The Durham Centre for Islamic Economics and Finance has contributed to the field of Islamic economics, banking, finance and management through teaching and research over 25 years, Asutay said. The Durham center is holding the Islamic Finance Autumn School 2011 between Monday and Thursday in Istanbul in cooperation with the Istanbul Foundation for Research and Education and the International Technological, Economic and Social Research Foundation. The gathering is supported by Istanbul Commerce University, the Participation Banks Associations for Turkey and the Alliance of Civilizations Institute of Fatih Sultan Mehmet University. ISLAMABAD – Seeking to double its share of the growing Islamic banking, Pakistan is turning to rural areas to drive growth of the booming industry. “Islamic banking, primarily being a faith-driven industry, has a significant potential in Pakistan as the concept directly appeals to the religiously sensitive segment of the society,” Saleem Ullah, director of the Islamic banking department at the State Bank, told Reuters on Sunday, August 14. The south Asian Muslim country, home to 180 million Muslims, plans to double its share to 12 percent by 2015. To help achieve this, Pakistan has ordered Islamic lenders to open 20 percent of all new branches in rural areas, where clients traditionally shun conventional banks due to concerns over interest which is forbidden under Islam. “Historically, the poor and oppressed in a society are more inclined to follow the norms of their religion than the affluent,” said Muddassir Siddiqui, an Islamic scholar and partner at law firm SNR Denton in Dubai. Islamic banking currently accounts for 497 billion rupees ($5.74 billion), or 7.3% of Pakistan’s overall banking system. Pakistan has six Islamic banks, Meezan Bank, Bank-al-Islami, Global Islamic Bank, Al-Barka Bank, Dawood Islamic Bank and Global Emirates Islamic Bank. They have around 500,000 customers in consumer financing and deposits sectors and hold 5 percent share in the overall banking sector in the country. Meezan is the first full-fledged Islamic bank in Pakistan and was issued license by the State Bank of Pakistan in 1997. The Asian country also has twelve conventional banks with Islamic operations, creating a network of 800 branches in Pakistan. Another 150 branches are expected to open in Pakistan by the end of the year. The anticipated boom in the Islamic banking industry is already drawing interest from both conventional banks in Pakistan and foreign institutions. “The new regulatory requirements are a good first step by the government to reaching those in rural areas, where there is little trust for banks and people prefer to keep money under their pillows,” said Zahid Mansoor, treasurer at DIB Pakistan, a unit of Dubai Islamic Bank. Mansoor said Dubai Islamic Bank, which has subsidiaries in Pakistan with a record of 59 branches throughout the country, plans to have 80 branches by the end of the year. Bahrain’s Al Baraka Bank is also seeking to launch more branches in Pakistan. “We currently have 100 branches in Pakistan and consider it to be a growth area for us,” said Adnan Ahmed Yousif, chief executive of Bahrain’s Al Baraka Bank. “At our bank, we are looking to get to 200 branches over time. The Standard Chartered Saadiq, the Islamic arm of UK-based Standard Chartered, also launched operations in the country. Islamic banking, which began almost three decades ago, has made substantial growth and attracted the attention of investors and bankers across the world. With estimated 300 Islamic banks and financial institutions worldwide, the industry expands by 15-20 percent a year and entered recently new markets from Australia to South Africa. Western financial institutions, including Citigroup, Deutsche Bank, HSBC and UBS, are increasingly offering Islamic products. Islamic banking operates by sharing profit or loss between the bank and its clients, instead of interest, which is forbidden. International links to boost Turkey’s Islamic banks? Standard & Poor’s Ratings Service (S&P) claims Turkey’s Islamic banks could continue recent strong growth if they can cultivate stronger ties with their international owners and create a sustainable brand image. Turkey’s Islamic banking sector has grown strongly over the past five years, with total sector assets accounting for about five per cent of total system assets as of year-end 2010 compared with 2.8 per cent five years earlier. Other developments in this sector over the past 18 months have included; A law conferring tax neutrality on Sukuk products;A $100 million debut Sukuk by Kuveyt Türk (not rated); the launch of several Shari’ah-compliant funds; and The creation of a domestic index of Shari’ah-compliant banks and companies by the Istanbul Stock Exchange. However, the sector remains small in a domestic context and, S&P believes, suffers a lack of public awareness of its products. At present, there are only four players, namely Bank Asya (not rated), Albaraka Turk (BB/Negative/B), Türkiye Finans (not rated), and Kuveyt Türk–in descending order of asset size as of year-end 2010. Additional drawbacks, in S&P’s view, include a scarcity of Shari’ah-compliant domestic investable asset classes, as well as no near-term likelihood of sovereign Sukuk issuance. 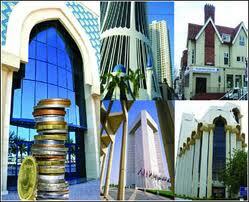 Moreover there are few options for Islamic banks to access liquidity at the central bank. Specifically, there is no Shari’ah-compliant mechanism replicating the repurchase agreements routinely available to conventional banks, as is increasingly the case in some Gulf countries. One route to such a global template could lie in stronger ties between domestic players and their larger, foreign parents. Already three of Turkey’s four Islamic banks have large and well-respected Islamic banks as majority shareholders. Kuwait Finance House (A-/Negative/A-2) owns 62.0 per cent of Kuveyt Türk, Al Baraka Banking Group (BBB-/Negative/A-3) owns 56.6 per cent of Albaraka Türk, and National Commercial Bank (A+/Stable/A-1) owns 64.7 per cent of Türkiye Finans. “Such relationships, in our view, are beneficial, and may help to spread common practices through which the Turkish Islamic banking sector may reach a new level of maturity,” said Pruvost. Standard Bank plans to start sharia-compliant banking in Nigeria this year to benefit from the needs of Africa’s largest Muslim population. Stanbic IBTC Bank, a unit of Standard Bank, won a licence in principle last month and planned to offer Islamic services at its 160 branches in the fourth quarter, chief executive Sola David-Borha said on July 13. Standard Chartered, the UK’s second-largest lender by market value, told the central bank it would like to provide the products, David Adepoju, the Lagos-based head of global markets at Standard Chartered Bank Nigeria, said last month. The west African country, the continent’s biggest oil producer and home to about 78 million Muslims, is competing with Senegal, Egypt and South Africa in seeking to expand in the $1 trillion (R7.1 trillion) Islamic finance industry. Central bank governor Lamido Sanusi said in June that Nigeria wanted to be a “hub” for sharia-compliant finance in the region and planned to sell its first sukuk, or Islamic bond, within 18 months. “It is difficult to see how a country with such a large Muslim population will continue for much longer without offering its people an alternative to conventional banking, particularly given the interest in Nigeria shown by some international banks,” Abolade Kehinde, a Lagos-based senior tax manager at PwC Nigeria, said earlier this month. The country, where about 70 percent have no access to regular banking services, aims to diversify the economy by developing financial services. Africa’s third-largest economy would expand about 7.8 percent this year, driven by the non-oil sector, Sanusi said last month. Gross domestic product grew 8.4 percent in 2010, according to the International Monetary Fund. Nigeria is trying to stabilise its banking industry after a debt crisis in 2009 almost led to its collapse. That year, the Central Bank of Nigeria fired the chief executives of eight lenders, pumped 620 billion naira (R28bn) into ailing banks and created a state-owned company to buy bad debt. The Securities and Exchange Commission aimed to have a framework for Islamic financial products by the end of the year, Arunma Oteh, the regulator’s director-general, said on June 23 in London. The central bank had granted a licence to the country’s first Islamic bank, Jaiz International Bank, the deputy governor Kingsley Moghalu said in South Africa last month. Stanbic IBTC had a licence to begin operating Islamic banking branches within six months and if it failed to do so within that time, the lender would need to reapply for approval, he said. Nigeria’s 155 million people are divided almost evenly between Muslims and Christians, according to the CIA World Factbook. The central bank has faced criticism from Christian groups that the introduction of Islamic banking may fan religious tension. Saidu Dogo, the secretary of the Christian Association of Nigeria in 19 northern states, said it was unconstitutional for the regulator to define all non-interest banking as Islamic. More than 14 000 people died in ethnic and religious clashes in the country between 1999 and 2009, according to the Brussels-based International Crisis Group. Global sales of Islamic bonds, which pay investors returns based on assets to comply with a ban on interest, more than doubled this year to $16.8 billion from the year-earlier period, data show. The debt returned 6.5 percent in 2011. Bonds in developing markets rose 5.8 percent, JPMorgan Chase’s EMBI global composite index shows. The Bloomberg Malaysian Sukuk Ex-MYR index, which measures foreign-currency Islamic debt sold by companies and governments in Malaysia, climbed 6.6 percent in the period. Average yields on emerging market sukuk dropped by 8 basis points this month to 3.58 percent on Friday, according to the HSBC/Nasdaq Dubai US Dollar Sukuk index. The rate on the Dubai government’s 6.396 percent sukuk maturing in November 2014 has jumped 17 basis points so far this month to 4.71 percent yesterday. The extra yield investors demand to hold Dubai’s bonds over Malaysia’s 3.928 percent sukuk maturing June 2015 widened 29 basis points to 236, according to Bloomberg data. 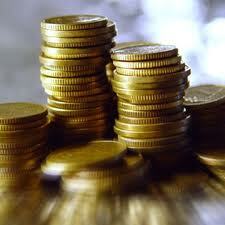 Senegal planned to sell $200 million in local currency sukuk this year, Finance Minister Abdoulaye Diop said in June. Egypt’s financial markets regulator in June agreed in principle on a law allowing companies to sell and trade sharia-compliant bonds. Absa Group, the South African bank controlled by Barclays, might offer Islamic services in Nigeria if it got a licence, Louis von Zeuner, the deputy chief executive, said on August 2. Absa opened a representative office in Nigeria in November last year and is eyeing the market potential. London-based Standard Chartered, which is interested in getting an Islamic banking licence, hoped to receive approval from the central bank within 12 months, Adepoju said on July 12. “I don’t think it’s an accident that it’s the international banks who are pioneers; they have launched those products outside in other markets,” said Lagos-based David-Borha at Stanbic IBTC Bank, which is aiming to add 20 branches in the nation by the end of the year.